Identity Theft is the fastest growing crime in America! Protect yourself by properly disposing your personal papers. 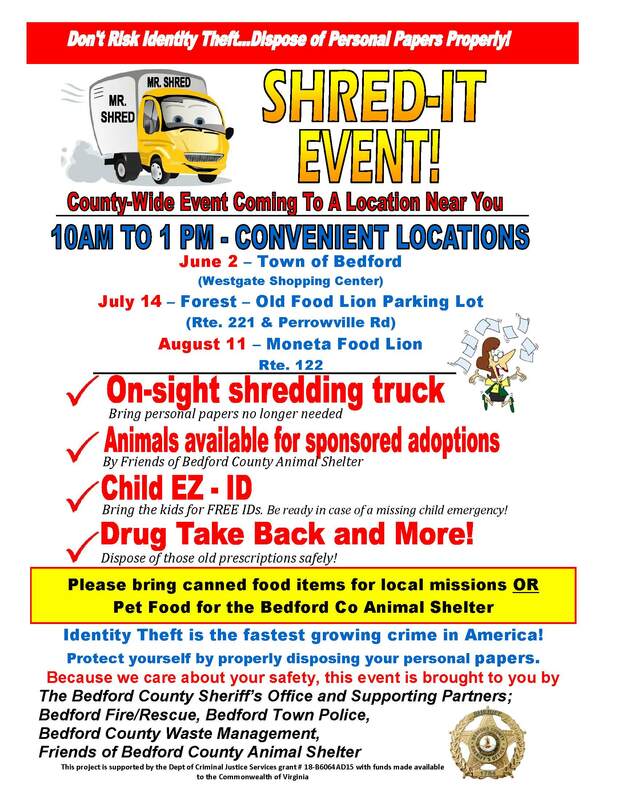 Friends of Bedford County Animal Shelter.